(p. A19) Conspicuous by its absence in much of the mainstream news coverage of Venezuela’s political crisis is the word “socialism.” Yes, every sensible observer agrees that Latin America’s once-richest country, sitting atop the world’s largest proven oil reserves, is an economic basket case, a humanitarian disaster, and a dictatorship whose demise cannot come soon enough. Or so goes a line of argument that insists socialism’s good name shouldn’t be tarred by the results of experience.
. . . , the larger lesson of Venezuela’s catastrophe should be learned. Twenty years of socialism, cheered by Corbyn, Klein, Chomsky and Co., led to the ruin of a nation. They may not be much embarrassed, much less personally harmed, by what they helped do. It’s for the rest of us to take care that it never be done to us. Stephens, Bret. “Yes, Venezuela Is a Socialist Catastrophe; In the age of A.O.C., the lesson must be learned again.” The New York Times (Saturday, Jan. 26, 2019): A19. In Openness to Creative Destruction, Art Diamond tells amazing story after story of entrepreneurs who have made our lives better. Read it and pinch yourself at your luck in being alive in the 21st century. And learn about how, as a citizen, to keep the innovations coming. Hint: Don’t give government too much power over us. David R. Henderson, Research Fellow, Hoover Institution. (p. B4) Mr. Hawkins has been following his own, all-encompassing idea for how the brain works. It is a step beyond the projects of most neuroscientists, like understanding the brain of a fruit fly or exploring the particulars of human sight. His theory starts with cortical columns. Cortical columns are a crucial part of the neocortex, the part of the brain that handles sight, hearing, language and reason. Neuro-(p. B4)scientists don’t agree on how the neocortex works. Cade Metz. “A New View of How We Think.” The New York Times (Monday, Oct. 15, 2018): B1 & B4. (p. A1) One day in June  , seven months after the U.S. imposed stiff tariffs on plywood from China, a wood importer in Oregon got a call from a supplier asking if he would like to get some Chinese plywood tariff-free. As trade conflict grows between the two largest economies, these professionals say, code misclassification is starting to compete (p. A10) with transshipment–the rerouting of goods through third countries–as a way to duck tariffs. Chuin-Wei Yap. “Trade Fight Spurs Tariff Dodges, With 18,927 Options.” The Wall Street Journal (Tuesday, Oct. 9, 2018): A1 & A10. (p. B1) Democrats in both the United States Senate and in the California Assembly have proposed legislation this year calling for a full transition to renewable energy sources. 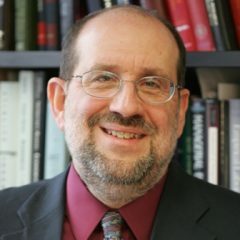 (p. B5) The conclusion of the critique is damning: Professor Jacobson relied on “invalid modeling tools,” committed “modeling errors” and made “implausible and inadequately supported assumptions,” the scholars wrote. “Our paper is pretty devastating,” said Varun Sivaram from the Council on Foreign Relations, a co-author of the new critique. Eduardo Porter. “ECONOMIC SCENE; Traditional Sources of Energy Have Role in Renewable Future.” The New York Times (Tuesday, June 21, 2017): B1. Clack, Christopher T. M., Staffan A. Qvist, Jay Apt, Morgan Bazilian, Adam R. Brandt, Ken Caldeira, Steven J. Davis, Victor Diakov, Mark A. Handschy, Paul D. H. Hines, Paulina Jaramillo, Daniel M. Kammen, Jane C. S. Long, M. Granger Morgan, Adam Reed, Varun Sivaram, James Sweeney, George R. Tynan, David G. Victor, John P. Weyant, and Jay F. Whitacre. “Evaluation of a Proposal for Reliable Low-Cost Grid Power with 100% Wind, Water, and Solar.” Proceedings of the National Academy of Sciences 114, no. 26 (June 27, 2017): 6722-27. (p. A1) In the mid-1950s, heart pacemakers were bulky devices that had to be wheeled around on carts and plugged into a wall socket. A heart surgeon in Minneapolis asked Earl Bakken if he could make something better. After consulting a back issue of Popular Electronics, Mr. Bakken within a few weeks fashioned a wearable pacemaker powered by a battery. Noting his talents, university medical personnel sometimes asked Mr. Bakken to fix their equipment. He noticed that few hospitals had technical staffs to maintain their electrical gear. A chat with his brother-in-law, Mr. Hermundslie, prompted them to fill that niche by setting up a repair shop inside a garage. In 1957, a power outage was blamed for the death of a baby dependent on a plug-in pacemaker. A University of Minnesota heart surgeon, Dr. C. Walton Lillehei, asked for alternative technology. Mr. Bakken found a design for an electronic metronome in Popular Electronics and used that as the model for a circuit. He housed the circuitry in a metal box small enough to be taped to a patient’s chest. After a successful test on a dog, Dr. Lillehei began using the device. Articles he wrote about it created a stir, and soon Medtronic was receiving orders from around the world. James R. Hagerty. “Founder Started Medtronic as a Local Repair Shop.” The Wall Street Journal (Tuesday, Oct. 27, 2018): A6. Bakken, Earl E. One Man’s Full Life. Fridley, MN: Medtronic, Inc., 1999. (p. A21) Oct. 30  marks the 36th anniversary of the FDA’s approval of human insulin synthesized in genetically engineered bacteria, the first product made with “gene splicing” techniques. As the head of the FDA’s evaluation team, I had a front-row seat. My team and I were ready to recommend approval after four months’ review. But when I took the packet to my supervisor, he said, “Four months? No way! If anything goes wrong with this product down the road, people will say we rushed it, and we’ll be toast.” That’s the bureaucratic mind-set. I don’t know how long he would have delayed it, but when he went on vacation a month later, I took the packet to his boss, the division director, who signed off. That anecdote is an example of Milton Friedman’s observation that to understand the motivation of an individual or organization, you need to “follow the self-interest.” A large part of regulators’ self-interest lies in staying out of trouble. One way to do that, my supervisor understood, is not to approve in record time products that might experience unanticipated problems. Miller, Henry I. “Follow the FDA’s Self-Interest; While approving a new form of insulin, I saw how regulators protect themselves.” The Wall Street Journal (Monday, Oct. 29, 2018: A21.